Alice was published in 1865, three years after the Reverend Charles Lutwidge Dodgson and the Reverend Robinson Duckworth rowed in a boat, on 4 July 1862 (this popular date of the "golden afternoon" might be a confusion or even another Alice-tale, for that particular day was cool, cloudy and rainy), up the Isis with the three young daughters of Henry Liddell (the Vice-Chancellor of Oxford University and Dean of Christ Church): Lorina Charlotte Liddell (aged 13, born 1849) ("Prima" in the book's prefatory verse); Alice Pleasance Liddell (aged 10, born 1852) ("Secunda" in the prefatory verse); Edith Mary Liddell (aged 8, born 1853) ("Tertia" in the prefatory verse). Lewis Carroll Charles Lutwidge Dodgson, 27 January 1832 - 14 January 1898, better known by his pen name, Lewis Carroll, was an English writer, mathematician, logician, Anglican deacon and photographer. 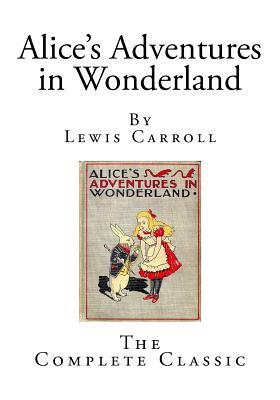 His most famous writings are Alice's Adventures in Wonderland and its sequel Through the Looking-Glass, as well as the poems "The Hunting of the Snark" and "Jabberwocky," all examples of the genre of literary nonsense. He is noted for his facility at word play, logic, and fantasy, and there are societies in many parts of the world (including the United Kingdom, Japan, the United States, and New Zealand) dedicated to the enjoyment and promotion of his works and the investigation of his life.